Home / News / Ram Charan, Sukumar movie in USA backdrop? 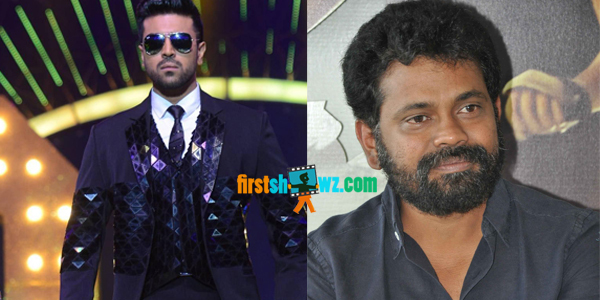 Ram Charan, Sukumar movie in USA backdrop? Sukumar’s recent movies are set in foreign backdrop and are made with lavish technical values including '1 - Nenokkadine' and 'Nannaku Prematho'. His next movie with Ram Charan also seems no exception. If the buzz is to be believed, Ram Charan, Sukumar movie is set in USA backdrop, and the film will be pictured in the exotic locales. Ashwin who has styled Allu Arjun, Mahesh Babu and NTR in previous Sukumar films will style Ram Charan in this film. Sukumar is currently busy finalizing the script and the cameras are expected to roll from October, after Ram Charan wraps up his undershoot movie Dhruva in Surender Reddy direction. The team is in search of the female lead, and Sukumar wants to cast an actress, who hasn’t paired up with Ram Charan yet. Devi Sri Prasad will score the tunes.